The second lesson in our sushi masterclass covers futomaki – an iconic type of sushi combining salmon, cucumber, rice and nori. 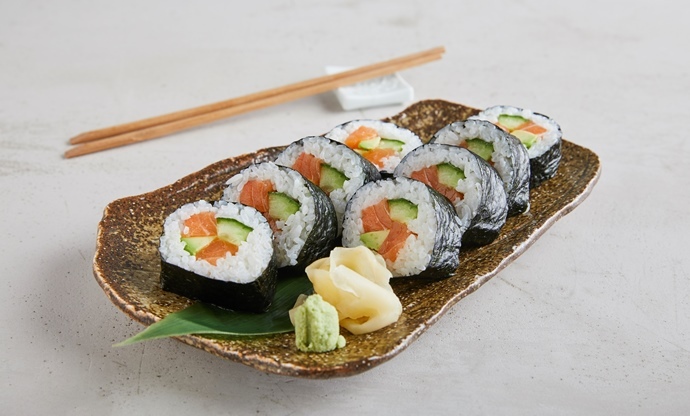 Arguably the most recognisable sushi out there, futomaki sees fresh raw salmon, cucumber and avocado encased in sushi rice and wrapped in nori seaweed. The hardest part about making this is rolling the sushi in your bamboo mat, but Hideki is on-hand to show you how to do it. Ensure your rice is cooked correctly and that your salmon is as fresh and high quality as possible – and be sure not to put too much filling on the seaweed. Watch Hideki in action then give it a go yourself. 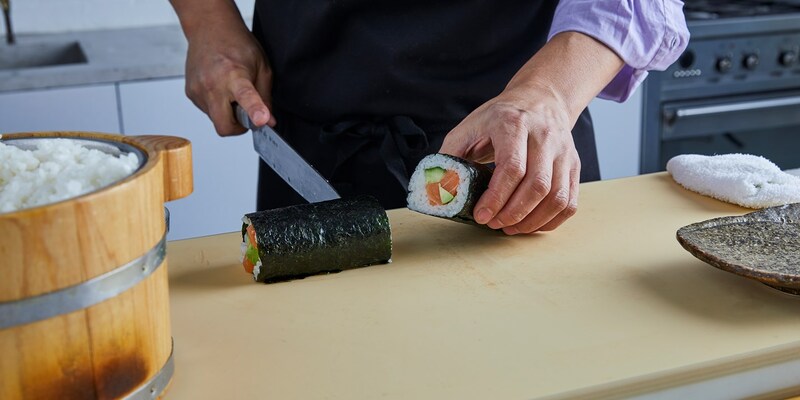 Futomaki can look tricky, but with Hideki's help you'll be rolling out professional looking sushi in no time at all. Watch him in our video to get the insider's guide to the technique. Once you've seen Hideki create futomaki from scratch, it's time to make your own. Follow his recipe for step-by-step instructions. Ready to move on? The final lesson in our sushi masterclass covers sabazushi – an intricate delicacy which sees mackerel rolled around sushi rice.